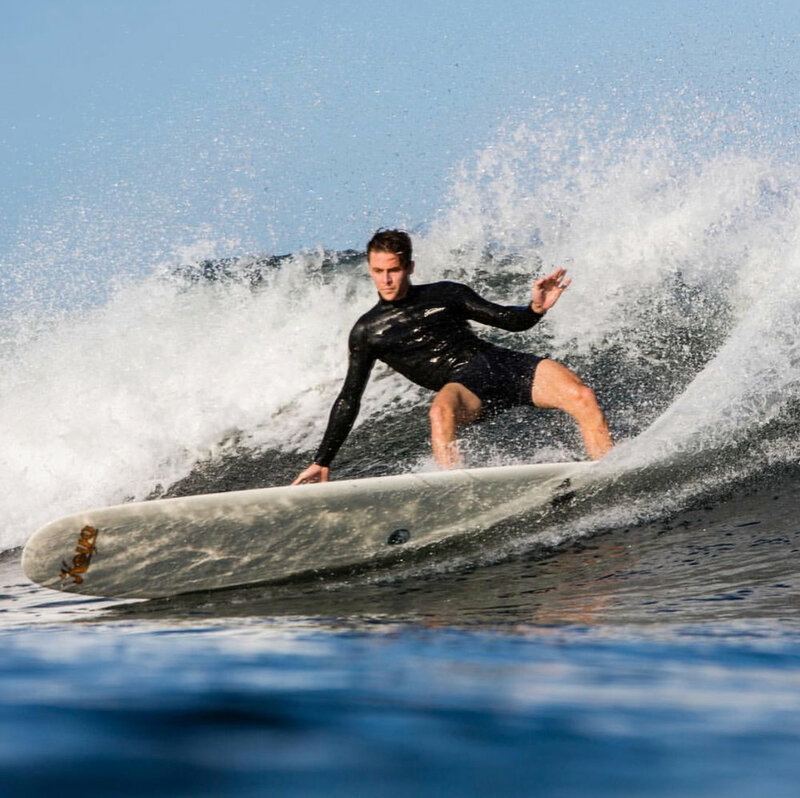 The TP-V is a direct result of Tom Payne’s obsession with the broad stance, aggressive Aussie surfing of the late 60’s. It is all rock ‘n’ roll. Tom wanted a board he could bank and push hard in the pocket and change direction and attack the wave. The TP-V is surfed shorter than usual around the 9’0” - 9’5” range. We add a little more rocker and a lot of V around the fin, and off the tail. They have a wide plan shape, blunt nose and a cut-off like tail. The TP-V has an unusual logo placement very symbolic of what was coming out the Keyo factory back in the day. They are quite distinct to look at and very Australian. Sizes range 9’0” - 9’5” and comes standard with an Opaque white glass job, and 9mm Obeche stringer.